Rain further doused the dwindling Mountain Fire near Palm Springs on Monday, helping firefighters to gain 85 percent containment, officials said. And, in stark contrast to last week, firefighters' warnings didn't involve smoke and flames, but flash flooding and mudslides in burn areas. The 27,332-acre fire had raged out of control last week, destroying seven homes and 16 other structures. At its peak, 3,478 firefighters were working to control the blaze, according to the California Department of Forestry and Fire Protection. But on Monday, 1,146 firefighters remained to finish off the wildfire. Mountain Fire Destruction Is "Very Sad"
“It hurts me very much to see this happen. It’s very sad,” says a Garner Valley resident of the Mountain Fire, which had consumed more than 14,000 acres by Wednesday in the San Jacinto Mountains. Toni Guinyard reports for the NBC4 News at Noon on July 17, 2013. After being helped by significant rainfall over the weekend, firefighters shifted gears, evaluating burned areas for damage and mopping up hot spots with the hope of fully containing the fire by Wednesday. 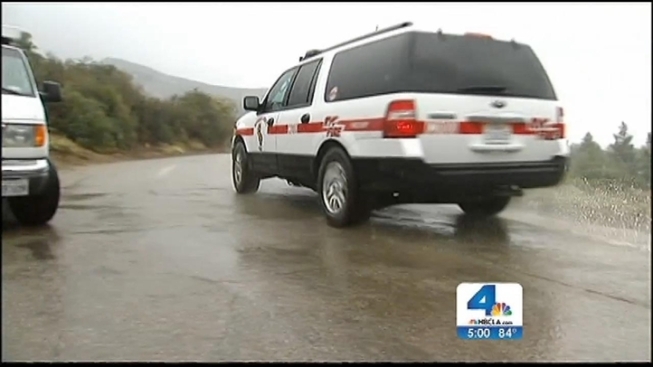 Storms dropped an inch and a half of rain on the blaze Sunday, officials announced, allowing thousands of residents to return to the resort town of Idyllwild and nearby communities southwest of Palm Springs after mandatory evacuations were lifted. The Mountain Fire continued to grow on Friday, and has destroyed six homes so far. Bonita Vista area residents returned to see what was left of their homes. Tony Shin reports from Lake Hemet for the NBC4 News at 5 and 6 p.m. on July 19, 2013. 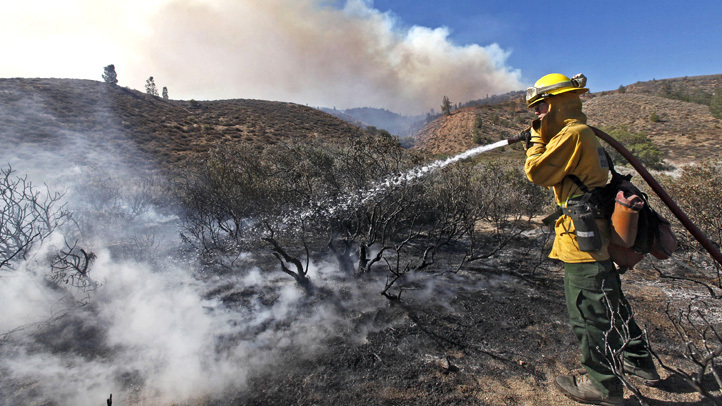 While the wildifre was no longer a threat to the Palm Springs and Idyllwild areas, the National Interagency Fire Center said in a statement that the blaze was causing a downpour of ash in neighboring communities. The fire has been burning in rugged terrain since July 15. The area where it started was in the San Jacinto Mountains, just west of Palm Springs in Riverside County. 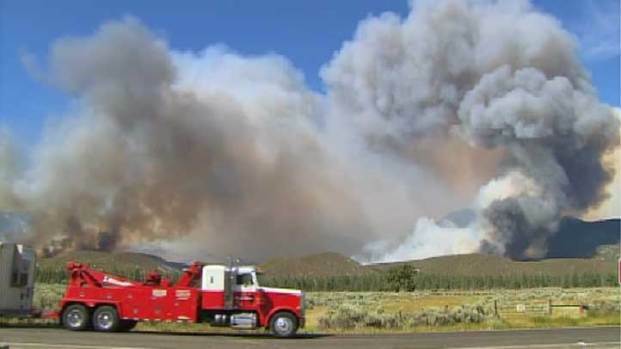 The cost of the fire is estimated at more than $21.6 million. Some called the rainstorm that gave firefighters a huge edge against the Mountain Fire "a miracle." 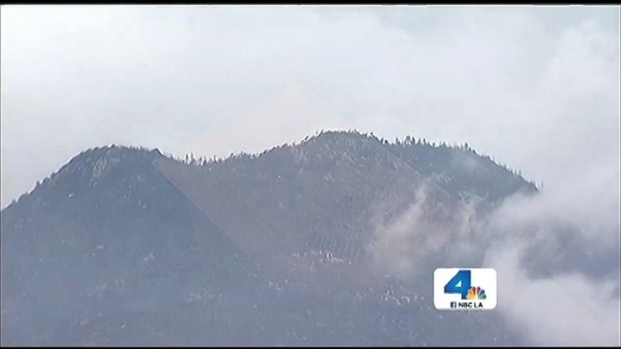 Fire officials are saying they will have the Mountain Fire under control much earlier than initially expected. Tena Ezzeddine reports from Lake Hemet for NBC4 News at 11 p.m. on Sunday, July 21, 2013. Authorities have said the fire was human-caused, but they wouldn't say whether it was accidental or intentional, according to the Associated Press.